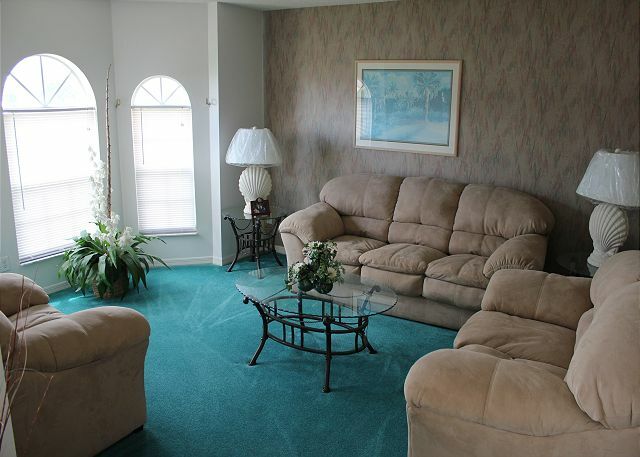 This Excellent Vacation Home is of the Excellent Superior category. 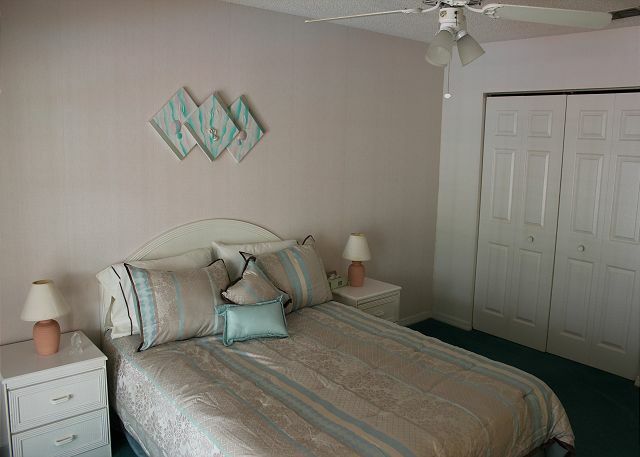 The villa is situated in a quiet cul-de-sac (no through traffic) in St. James Park, right off South Poinciana Blvd. All major theme parks like Walt Disney World, Universal Studios and Sea World are within easy reach. Just like the many world’s best golf courses Central Florida has to offer. There are supermarkets and dining nearby. Everything you could possibly need really is close at hand. 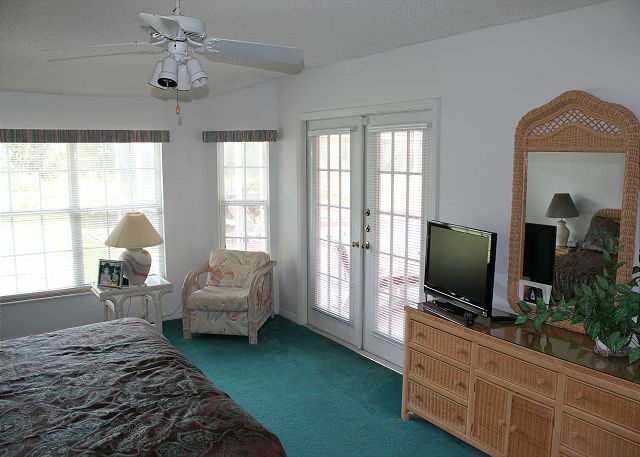 This villa offers free high-speed internet (Wi-Fi) plus free local and long-distance calling within the United States. 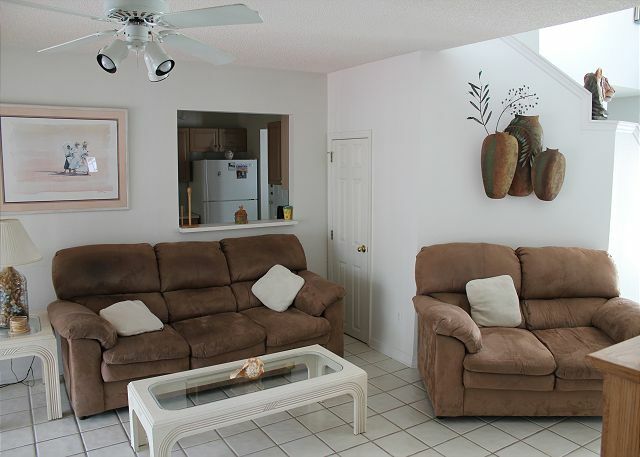 The 2 story villa has many extras to make your stay very enjoyable. It has been furnished to a very good standard. When entering the villa the living room with comfortable sofas is on your left. 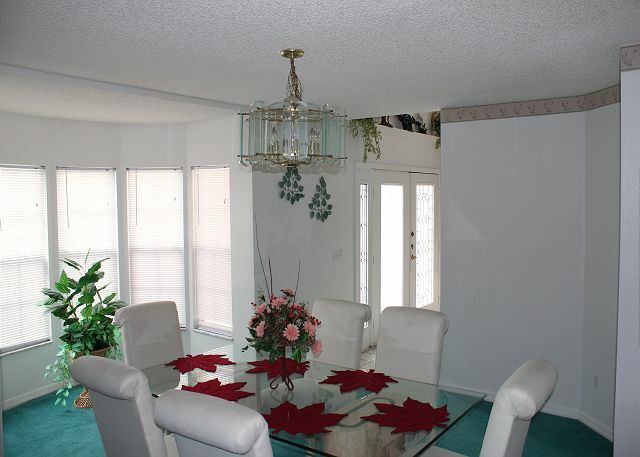 The formal dining room is on your right. Straight ahead you step into the family room with cable TV and to the right of that room you will find the semi-open kitchen and spacious breakfast nook, seating 6. In the rear on the left side of the villa you will find the Master Bedroom with King Bed, flat-screen TV with DVD player, plus walk-in closet and the en suite bathroom with dual vanity, walk-in shower, large garden tub and toilet. On the right side of the villa you will find the second bedroom with Queen Bed, TV and closet, plus another spacious bathroom with dual vanity, walk-in shower and toilet. 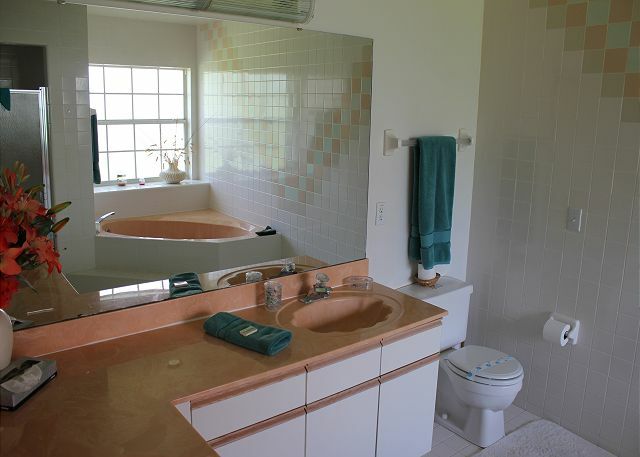 This bathroom also offers direct pool deck access. This is a very convenient feature; it allows you to walk-in and out from the pool deck right into the bathroom to take that quick shower and find your towels after those refreshing swims. The other two bedrooms are upstairs. The first bedroom to the right has a Full bed, closet and bathroom with vanity, shower and toilet. 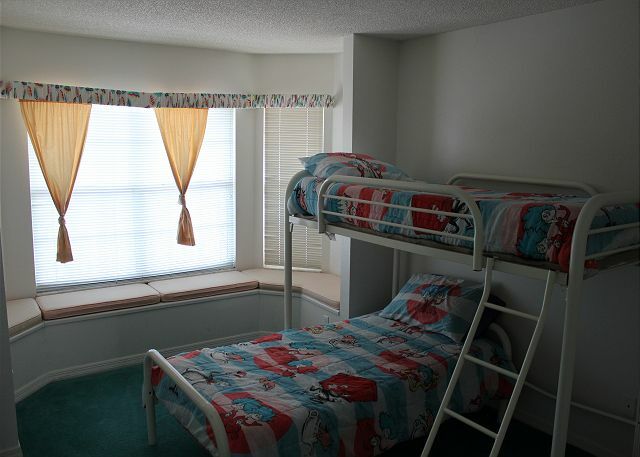 This bathroom is shared with the other bedroom, which has a bunk bed sleeping 2 younger guests. Last but not least, you will find upstairs another family room with TV, plus access to the screened balcony, offering a wonderful view onto the pool and surrounding area. 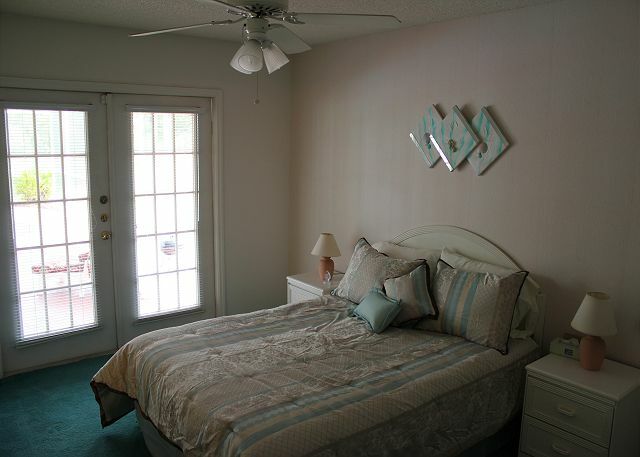 All bedrooms and the family room have ceiling fans. 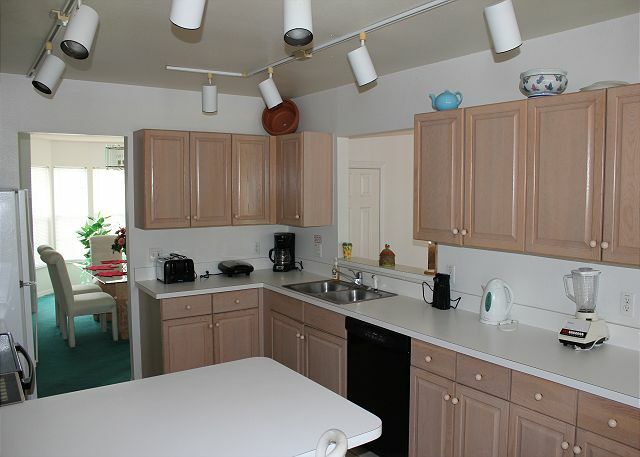 The open kitchen is very well fitted. It includes a full size oven, built-in microwave, large fridge-freezer with ice-maker, waste disposal unit and dishwasher. There is also a full range of electrical appliances and utensils – pretty much everything you could want in your home away from home. 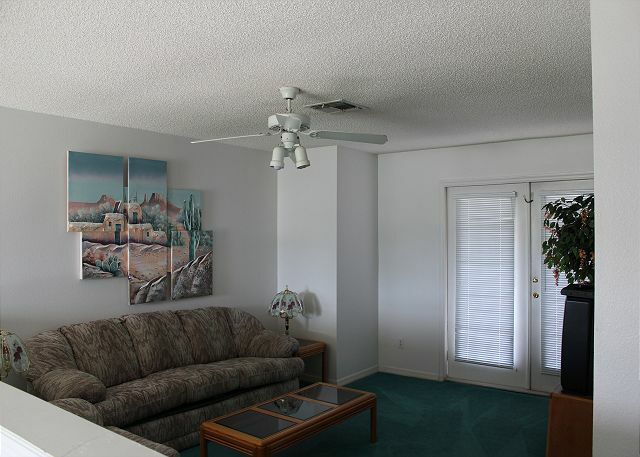 From the family room and the two downstairs bedrooms, you have access to the heated pool with Spa. Pool deck chairs and sun loungers allow for late night, pool side relaxing. The fantastic view from the great pool and Spa (jets only, not a hot tub) the pond plus the high trees in the back is very hard to beat. The pool heating is optional, at an extra cost. The laundry room with washing machine and dryer are located in the garage. Iron and ironing board are present too. Hi Robert, happy to hear you thoroughly enjoyed this wonderful vacation home and our service. Thank you for your great review. 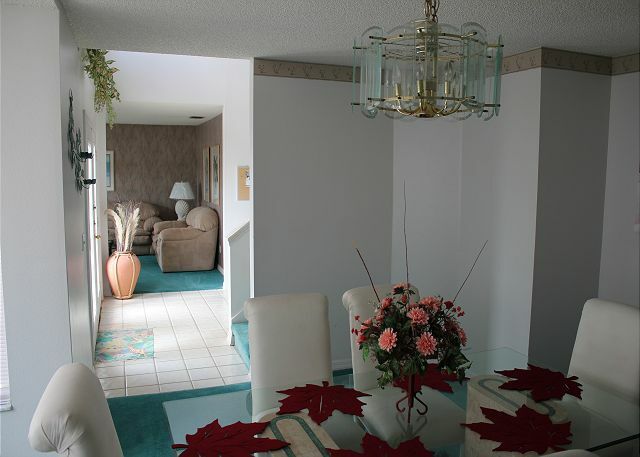 We look forward to welcoming you and your ]family again the next time you visit the Orlando/Kissimmee area. Wonderful place. Clean. Well furnished. Adriana was excellent. Very helpful. 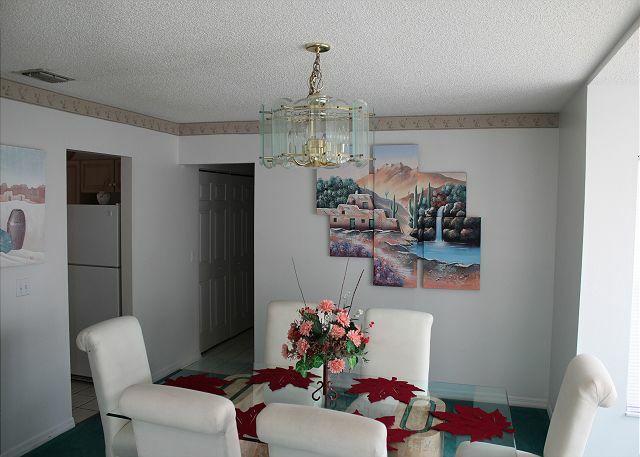 Hi Rolland, happy to hear you thoroughly enjoyed staying at this wonderful vacation home. Thank you for your excellent review, and we look forward to welcoming you and your family again the next time you visit the Orlando area. Large home, plenty of space... 30 years out of date though.... needs a remodel to grab the big bucks. Garage parking is not an option. Nothing is nearby, NOTHING. People were very helpful when needed. However, I would not recommend paying for the pool to be heated, a little disappointing. Lovely home in a friendly neighbourhood. Lots of space for the family, as well as extended family who came to visit. Home and pool was clean and pool was maintained during our stay. 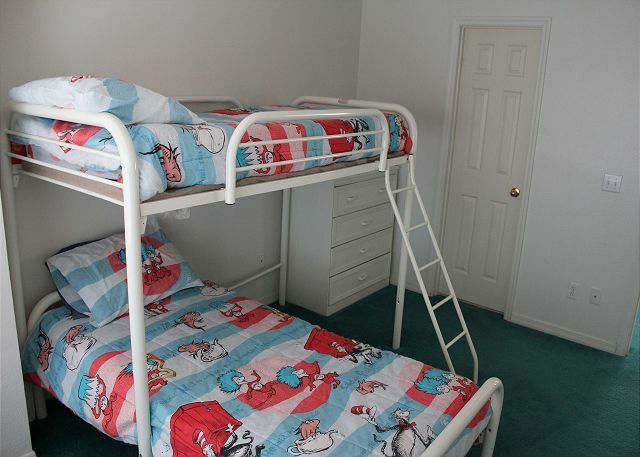 When we needed new bunk beds because the old bunk was broken (it was that way when we got there), it got replaced right away. Hi Theo, glad you enjoyed your stay! Thank you for sharing the example of customer service to replace the broken bed. Hope to welcome you again soon. Spacious, great pool area. 20 minute drive from Disney main entrance. Property is starting to show some wear. Lovely house in a really quiet and safe location. Plenty of room for a family of five and well equipped. Obviously an older property but with bags of character and a great pool which was heated for our stay. Easy access for the parks and the east and west coasts. The house was really comfortable the only observation on a negative side would be some of the poolside furniture is looking a little tired. Dear Lyndon, thank you for a great review & your feedback. Glad you enjoyed this great home and location. We look forward to welcoming you again in the future! Another amazing holiday spent at Regents Retreat. As always the house was all ready for our arrival and the pool deliciously warm & welcoming. Hi Rachael, it's always a pleasure to welcome you back again!! Thank you for an excellent review and we look forward to welcoming you again next year! We love love love this home. It had everything a family would need so that you can enjoy your vacation without having to worry about where you are staying. The kids enjoyed the pool the majority of the days that we weren't out at a venue. The house is not located in the center of the hustle and bustle of the area. We loved this!! Kids can ride their bikes which we brought down with us because the neighborhood is quiet and safe for the kids to play. The house was clean and in great shape. The home decor is a bit dated but comfortable and clean. Lara, thank you for a great review & your feedback. We are happy you enjoyed this home. We look forward to welcoming you again in the future!! If you’re looking for a quiet place for a vacation this is the one for you. Dear Amos, thank you for a great review! We look forward to welcoming you again in the future. Hello Thomas, thank you for an Excellent 5-star review! We appreciate you taking the time to let us know your experience and look forward to welcoming you again next time. Another great holiday staying at Regent's Retreat. The house as always was spotlessly clean on our arrival. We headed straight for the pool which was invitingly warm. Already booked for next year and can't wait to come back. Hi Rachael, it's been a pleasure to welcome you back again!! Thank you for an excellent review and we look forward to welcoming you again next year. This is the second time we stayed at this house.We would of rented it for next year but someone beat us to Feb.2018. The house is very spacious and we'll eqipped. Our favorite thing about the house is the private pool and deck. I would highly recommend this property. Linda, thank you so much for your excellent review. Glad you enjoyed this wonderful vacation home with a private pool. Hopefully you can rent this house again for 2019. 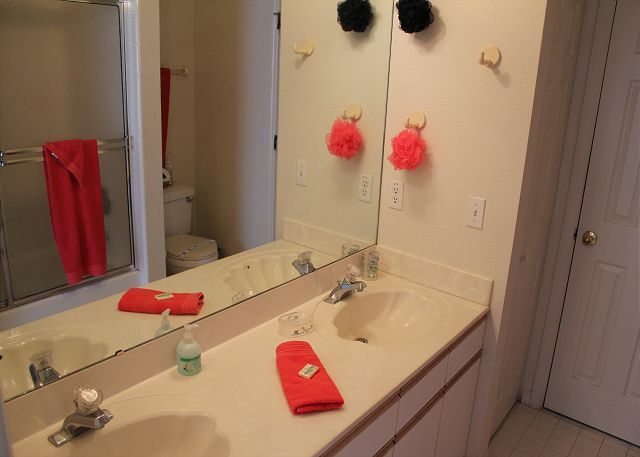 Great rental home! Renting this home was a wonderful part of a great Disney vacation. After spending the day in the crowds of the park in was great to come back to the house and have the beautiful private pool to relax by and plenty of room to spread out. On our arrival to the house there were small gifts left to welcome our family, it was a very thoughtful and kind gesture. Thank you Lacey for an excellent review score. Glad you enjoyed this wonderful vacation home. We look forward to welcoming you again in the future! Dear Manon, thank you for an excellent review and we look forward to welcoming you again next year. Hi Colleen, thank you for a great review and your feedback. Glad you enjoyed this wonderful vacation home and we look forward to welcoming you again ! We had our rental the same time as Hurricane Matthew was making his way towards Florida. The property management allowed us a smooth early check in toakw preparations because of this as it was a pretty hectic time to be in Florida. The house was well maintained but needs to be updated a bit. My only complaint and it is a big one was the house had a smokey ashy cigarette odor. It was very overwhelming and at times annoying. It could have been from previous guests but the property is non-smoking. Rembert did stop by and confirm the odor and stated it could be from a roof leak that was repaired prior to my rental. Other than that My family and I had a wonderful time here and enjoyed the pool every day we could. 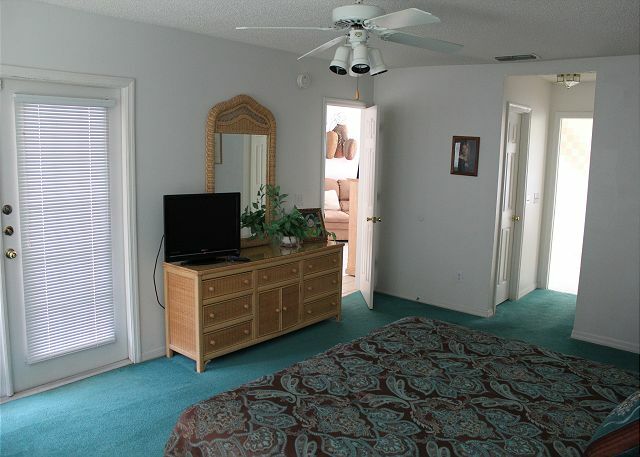 I would definitely rent this property again next time I visit Florida and would recommend you do as well. Dear Randy, thank you very much for your review and feedback. Please accept our apologies for the odor in the house. This is an example that we are available 24/7 to attend to possible concerns. We look forward to seeing you again! Thus is an old but great house, we really enjoyed our stay. The pool is great - heated - the jacuzzi it's not really a real jacuzzi since it is like an extension of the pool with no individual heater or water pump, never the less the pool area is great. The house is very comfortable and big, ideal for children since upstairs bedrooms are completely independent to the rest of the house. Fully equipped and very nice staff support. The location is good but a little bit far away from super markets or other shops. The amusement parks are about 30 minutes away do to distance but primarily traffic. Other than this, the place is great, the house is located in a nice neighborhood and it's back is facing a small pond and woods! Great place, would stay again for sure. On arrival the house as always was spotlessly clean and welcoming. The pool was a beautiful temperature and very inviting; so much so we in within 30 minutes of arriving. We have been visiting Regent's Retreat for over 10 years now and seriously wouldn't stay anywhere else. The house is spacious, very well equipped and the service from Excellent Vacation Homes is without a doubt the best. A special mention to Kris; who is a star. We have already booked for next year and can't wait to be back. Hello Rachael, thank you for an Excellent Review! We're glad you and your family have enjoyed staying at this house and look forward in welcoming you next year!! Our stay in Kissimmee was amazing! The house, pictures and descriptions given are very accurate. I was very reluctant to believe and see what you book online, as this was my first time using this type of reservations. When we got to the house, it was everything and more. 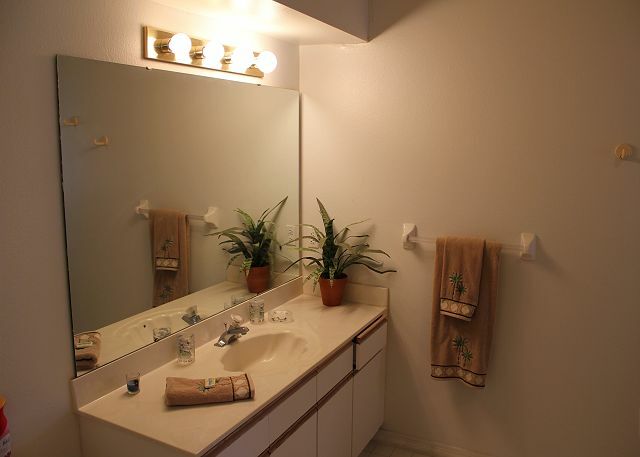 Very clean, well maintained and spacious. All the amenities where provided as stated in your confirmation letter. We enjoyed ALL the Disney attractions which were only 20-25 minute drive. The restaurants and shopping were only 10-15 minute drive. Everything for everyone. 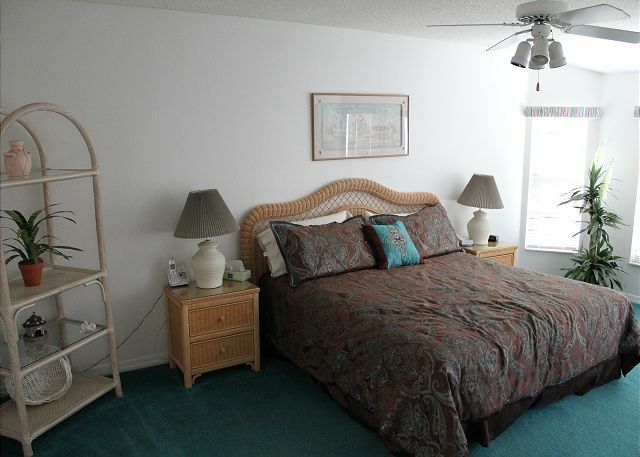 Very easy access to main attractions and highway. 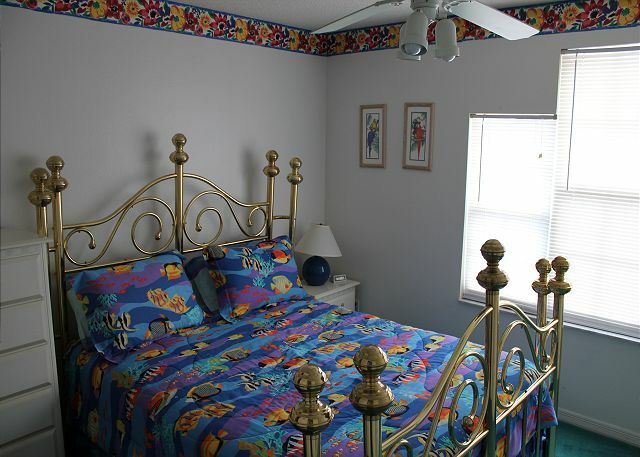 I would not hesitate to book this house again, or use the services from Excellent Vacation Homes. Book your next Florida Vacation!! Hi Chyanne, thank you for an excellent review. Glad you enjoyed this wonderful vacation home and we look forward to welcoming you again!! The only thing that was difficulty was figuring out the remotes and TV. Thank you Donald for a great review. A quick call to the office and we could help you with the remotes (please remember that next time). Glad you enjoyed this wonderful home and we look forward to welcoming you again the next time you visit Central Florida! This is the third time we have rented this house because we love the location. It is in a quiet neighborhood and we love the pool and jacuzzi, which is where we spend a lot of time. However, there were some screen panels missing from the pool enclosure, which we were assured would be replaced before our stay. Also, there is a label on the stove which is unreadable. Other than that, it is perfect. 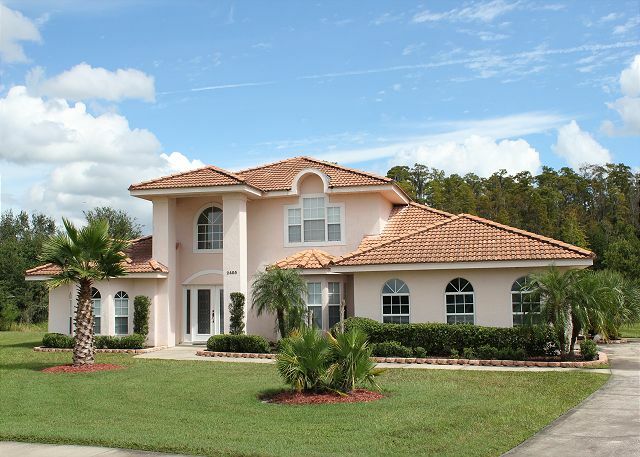 Will stay at this house every time we go to Central Florida. Hi Colleen, thank you for an excellent review. Thank you for your feedback (apologize that all the screens weren't repaired, all were complete after your departure). Glad you enjoyed this wonderful vacation home for the third time and we look forward to welcoming you again!! The home was spotless. The pool was fantastic. Management company quick to respond. The home could use some updating but kept up nicely. The location is not what we were looking for. Quite always to major highways but we managed. Very quite location. Kitchen well stocked with pots and pans and everything you would need. There is a need for more pool towels. Overall my sister and her daughter and 2 grandchildren had a wonderful time and would recommend this property to anyone. Kimberly, thank you for a great review and feedback. We are happy to read you enjoyed your stay and we look forward to welcoming you again in the future!! Once again another great holiday at Regents Retreat. The house was spotlessly clean on arrival and never disappoints. This was our second visit this year and we loved every single minute. Can't wait to return again in April. Big thanks to Kris for always ensuring our bookings are hassle free and perfect. Hi Rachael, it's always a pleasure to welcome you back again!! Thank you for an excellent review and we look forward to welcoming you again next year. Hello Maricela, thank you so much for your great review. Glad you enjoyed this wonderful vacation home with a private pool. We look forward to seeing you again next time! The property description was as pictured, it was clean, the kitchen was equipped with every cooking utensil you can want, the layout was perfect for 5 adults a 2 kids, very spacious, tv's in every bedroom, the kids stayed in the pool from sun up to sun down, plenty of towels. The only issue we had, we had to call the office around 5:30pm and leave a message,fire ants were in the pool,they didn't call us back until the next morning and sent out maintenance. Everything else was PERFECT, gas station, ice cream shop, Dollar General were within five minutes of the house, grocery store, Walmart another 8-10 minutes. Quiet neighborhood, house was in a cal de sac, plenty of room for 4 cars in the driveway. Would HIGHLY recommend to our family and friends and WE WILL BE BACK!!! I forgot about the upstairs balcony overlooking the pool, just wonderful addition for the early 30 adults, while us older folks sat on the pool patio watching the kids play in the pool. I've rented plenty of houses in FL over the years, by far this was the best one!!! Thank you Lynn for an excellent review. Glad you enjoyed this wonderful home and we look forward to welcoming you again the next time you visit Central Florida!! We were looking forward to staying at Regent's Retreat as the home looked very nice on the Home Away website. Pro's - Very quiet neighborhood (actually purchased a small fan just for some background noise while we slept and left it there if anyone else would want do the same), Very large home could easily handle a large family of 8, maybe more. A very nice place to rest after a day at the parks. Con's - Much of the home needs updating, furniture. Due to the low temperatures we were unable to use the pool but we did spend some time out in the pool area, the pool furniture needs to be cleaned or replaced due to a lot of mildew on the furniture. 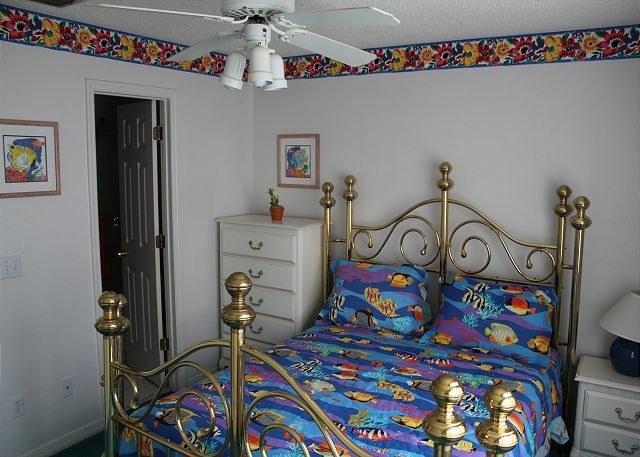 The property is no smoking but we could smell smoke on the pillow cases and sheets in the master bedroom. Any questions we had were answered very quickly, we were able to check in 2 hours early and greatly appreciated that. I would have no problem in staying at this property next time we want to visit the area and I would recommend it to friends. Hi Stephany, thank you for your review and feedback. We are glad you enjoyed your visit with us and we look forward to welcoming you again in the future! Hello Gary, thank you for your stay with us! Be sure to reserve this home soon for next year's visit. Look forward to welcoming you again! 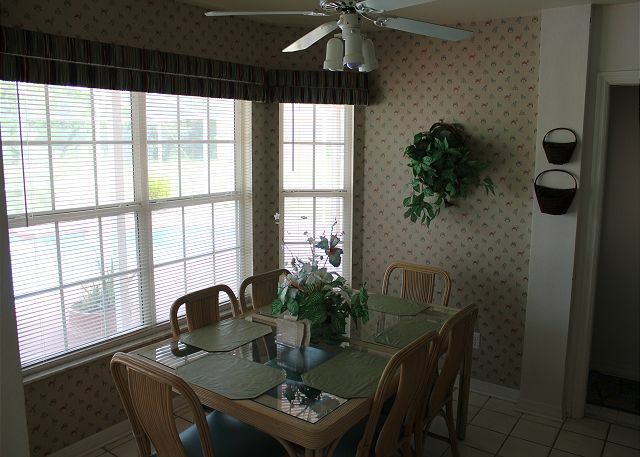 The home was stocked with everything we needed, very clean on arrival, pool/whirlpool were enjoyed daily, location was private and no thru traffic and easy to get to Disney locations. Kids loved watching the alligator in the pond behind the house. The nearby neighbors were very kind,informative and the kids picked up a basketball game with the residents. Would recommend this property and renting from Excellent Vacation Homes! Thank you for a wonderful stay! Thank you, thank you, thank you! 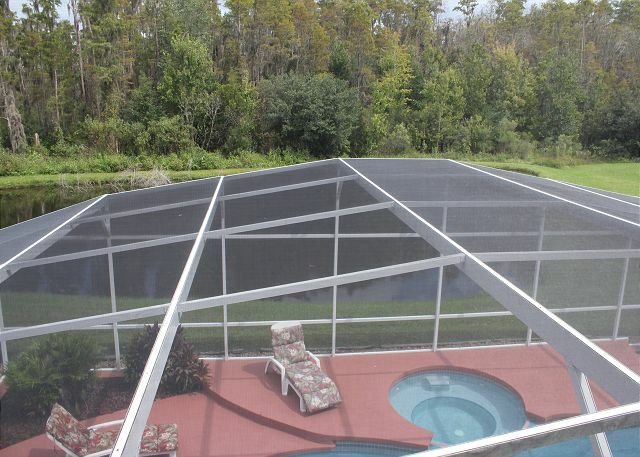 First time we hear about an alligator in that small pond, but it does back up to a conservation like area and this is Florida after all ;-) Nothing to worry about though, with the pool enclosure (pool area is completely screened in) keeping all bugs and other FL wildlife out. See you next time! Nice size home in a quite area. Great pool and hot tub, kids loved it. Only thing needed was some cleaning on the ceiling fans and vents. Hi Kirk, many thanks for your feedback; cleaning of ceiling fans and AC vents is mostly spring clean activity, which was due indeed and took place shortly after your stay. Thanks again and we look forward to welcoming you again! Upon arrival, we were amazed with the house. 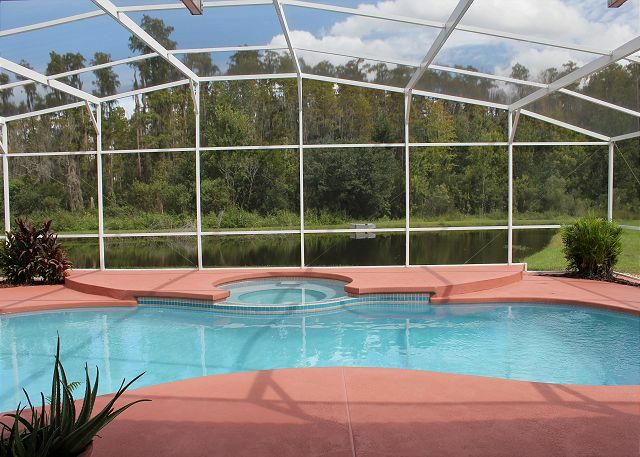 The house was very clean & had every thing we needed inside for a great vaction.Even without children, it was in a excellant location with great florida wildlife.We ordered heat for the pool and spa . It was excellant. Garage door was a bit of an inconvients because of it being manual.We did have a problem with the driving directions to the house from the Airport. We found a great way Back from the house to the airport took us only 20 min.Leaving the house we went R on Poinciana blvd (approx 14 miles ) turn L onto 535, Stay in the right lane go pass 1st light & Vf Factory shops,at the next light turn R towards airport & 417 (toll road ) continue on 417 to the Boggy Creek/Airport exit . Turn left and stay in left lane that veers toward air port . (about 9 1/2 miles on 417 and 2 tolls ) Great way to go to the airport. Thank you and we definitely will be back SOON . Would love to bring the Grand children also!!!! Thank you Porter family! It was great having you and we look forward to seeing you again soon! The place was great. 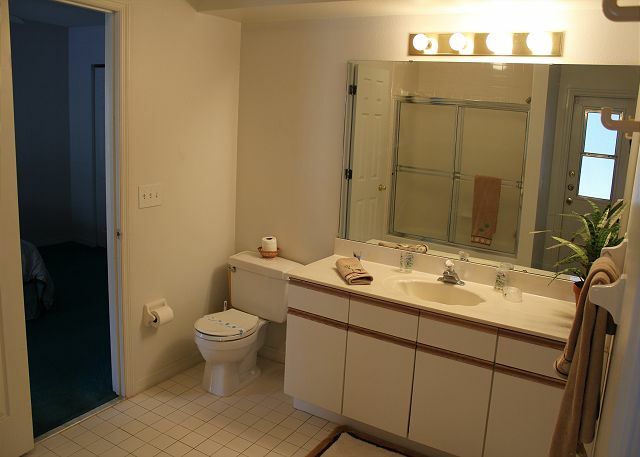 Clean and neat, very spacious. I do wish that the management provided the welcome pack by default and not request it explicitly, it would have helped us very much as we arrived very late at night. The hot tub is not really a hot tub, merely a place where the pool heats and filters - that was disappointing. The pond behind the house is a good place to watch FL wildlife. We saw an Alligator, a few cranes, a raccoon, a woodchuck or a mongoose or some similar creature and a hybrid crow/buzzard - could not make out what it was. The parking garage has a manual door opener not automatic and has the owner's car parked on one side, which is OK, since we had only one car. 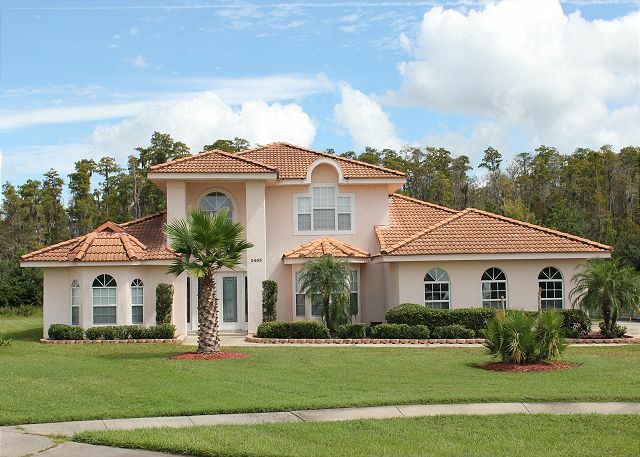 Overall a nice place in a nice neighborhood, about 40 minutes drive to Disney world. Hi Sanjithraj, thank you very much for your feedback. We are currently deciding on the contents of a default welcome pack as suggested by you. So far it has been our experience that most guests stop by a local supermarket to stcok up for at least the first few days of their stay, even before they actually check into the vacation home. Upon reserving the home, we will make the guest better aware about what welcome kit items are included and what items may be special ordered (like food and drinks). Sorry to hear about your hot tub experience. You had not ordered your pool to be heated so only experienced the normal pool filtration flow. Really a pity because one quick phone call to us would have solved that issue. 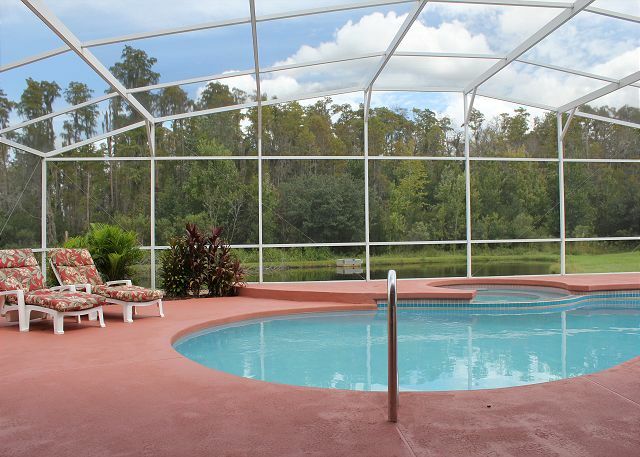 Pool and Spa heating is optional to all guests that book one of our many vacation homes. Thank you again for your stay and hopefully see you next time you visit the area! Once again an amazing holiday. Regents Retreat for 5 years now and it never fails to impress. The whole service offered by Excellent Vacation Homes is second to none. The house is huge, with excellent facilities. The pool area being our favourite as we spend most of our time out there. Dear Rachael, always a pleasure! Thank you for an excellent review and we look forward to welcoming you again next year. Thank you Selina, see you next time you visit the area! Excellent Service from the Management Company. House a bit 'tired' inside and could do with a bit of a spruce up and a really good clean. That aside, I have nothing but praise for the management company who were very helpful and rectified all the problems quickly and efficiently taking on board our complains and making us feel very valued customers. Overall we had a nice time. Hi Vanessa, thanks again for your feedback and the chance to correct the few issues upon arrival. The house now went through a 2 day annual deep clean which was really due before your arrival but was skipped due to a planning mistake on our end. Glad you enjoyed the house and wonderful pool and we look forward to welcoming you again in February! When we turned up to the villa, it was exactly as the picture showed looked lovely and big. However getting the key out of the lock box was quite difficult and especially if you had no nails. Once inside again it was as the pictures showed. When traveling to the parks and to the 192 it was a breeze a perfect location not far from anywhere including Busch gardens. We thought on the whole the villa was fantastic and the pool was out of this world, however we feel it needs a bit of tlc as it looks tired. Regarding the air condition, there was no benefit from it whilst downstairs in the kitchen, lounge and ground bedrooms and with fans on it was still stuffy, up stairs was lovely and cool though. Replacing bedding, we found they were just thrown in the wardrobes and had to go round the villa to find sheets to fit the beds. On the whole we would love to go back again and defiantly recommend it just needs some up dating. Thank you Ray for an excellent review. Glad you enjoyed this wonderful home and we look forward to welcoming you again the next time you visit Central Florida! Dear Keith and Sharon, thank you for a great, extensive review. Glad you enjoyed this wonderful vacation home! Our apologies for the hair you found in one of the beds. Please rest assured that all beds are stripped and all linen washed each and every clean, even if the beds appear not to be slept on by the previous guest, just to make sure. 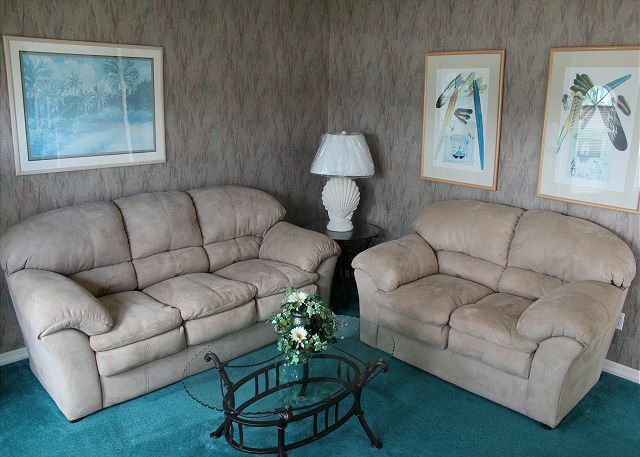 Guest vacuum is located in the walk-in closet next to the sofa's in the family room. Next time please give us a call should you be unable to find anything in the house so we can solve that right away. We are aware that the French doors are a bit tight every now and then, pretty much depending on weahther conditions (the warmer, the more tight they get). Most guest use the main sliding door or the pool bathroom door, leading onto a tile floor and allowing themselves to shower off after swimming, to keep wet/damp feet off the carpet in the adjacent bedrooms. The carpet being the reason the home owner is actually considering to even permanently lock those French doors. Again thank you for your stay with us and we look forward to welcoming you in the future. Our only concern was the lack of hot water with 8 guests but if you stagger shower times it worked out. Its a quiet and peaceful location, we would definitely stay again! Thank you Scott for an excellent review score. Glad you enjoyed this wonderful vacation home. Good point staggering the shower times. It is actually a brand new water heatertoo but if all guests shower in a very short time span it may still run low, as in any home. We look forward to welcoming you again in the future! The property management company and the pool area were the best experiences from this stay. The property and it's furnishings are showing age and could be updated. Bed sheets and pillow cases need to be looked at. Kitchen was nice but we could tell families probably rent this property more often than just adults due to all the plastic dishes. Teaspoons need to be stocked. Other than those 2 comments, the kichen would work for anyone. TV's in the house were all very nice and including Wi-Fi and cable should draw lots of customers with children/teens. 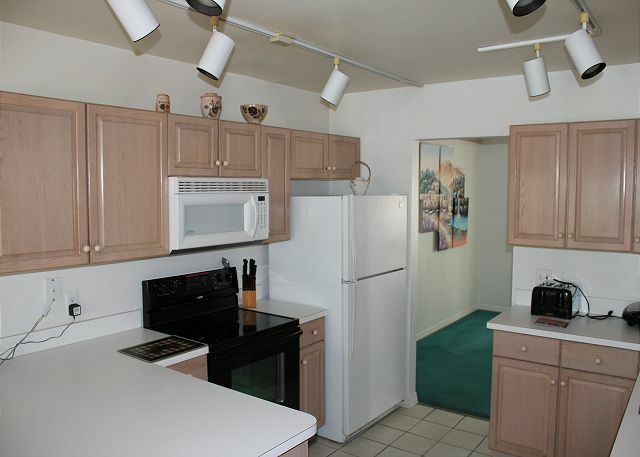 Location of the property is a pretty good distance from most restaurants but there are groceries nearby. The property management company were very prompt, nice to work with, and good agents for this owner. However, we would suggest that the owner invest a little money in this property to update it if a good rental income or sale price is in the future. Dear James, thank you very much for your review. Yes, this property (and vacation rentals in general) attracts lots of families. They offer a great value vs the many hotels in the area. The plastic dishes are really for use in the pool area, as the risk of pieces of glass and china ending up in the pool in case of breakage is unacceptable. We have now changed out several pillow cases and sheets too; thank you for bringing that to our attention. Tea spoos were added too. Thank you again for staying with us and we look forward to welcoming you in the future. Wonderful experience, very nice stay. We would definetly stay here again! Thank you Glenn for an excellent review. Glad you enjoyed this wonderful home and we look forward to welcoming you again the next time you visit Central Florida! Second stay at this property and I have to say that this time was much better. The house was really clean the pool lovely and the wildlife put on a show every day (who needs Disney!). The management company were once again, fantastic. Just a note to future holidaymakers, please don't feed the alligator in the pond, he bellows for food early in the morning and rushes out the water if he hears the screen door open. Not that he is there every day, he is quite small and it in no way impacted on the holiday, but treat the wildlife with a wary respect. The owner of the pond did get the wildlife people out to remove him on quite a few occasions but he proved difficult to locate on the days they came. All in all an exciting and memorable holiday. Thank you. Dear Vanessa, thanks again for your stay. Noticed you already reserved again for your next visit. We look forward to welcoming you then! We stayed for 2 weeks and loved it. The kids (and grown ups) loved the pool and there was plenty of room everywhere... inside the house and poolside. Behind the house around the pond is where all the animals live... We saw a gator, an otter, cranes, vultures, heron, hawk, turtles. Management company was very professional and responsive when we called about adjusting the pool heating. Only real complaint is that sheets/towels were not white and showed some wear. However, the house did come with everything a family would need. We did not want to leave and we would definitely go back. Dear Lu, thank you for a great review and the feedback regarding some of the sheets and towels. We have addressed this issue by replacing several of them, bringing all sets back up to par. Thanks again and we look forward to welcoming you again in the future. This Rental is the same as we reviewed on the internet.The cleaning was spotless. Overall, it was very nice. Internet, phone and all the amenities worked. Thank you Ayodeji for your review. Glad you enjoyed this wonderful vacation home. We look forward to welcoming you again in the future! The only disappointing thing was the hot water was only luke warm. 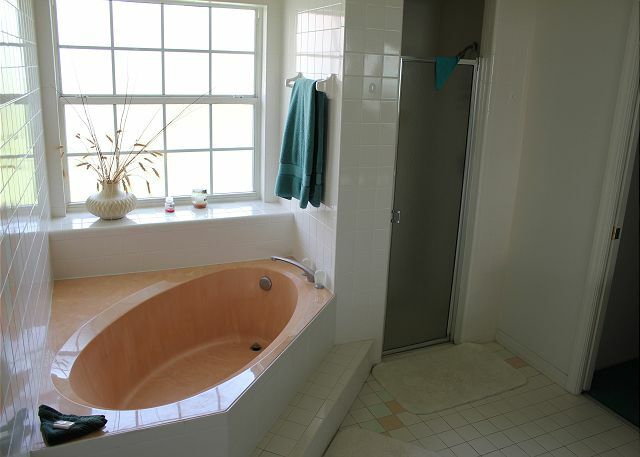 I was looking forward to a hot bath in that beautiful tub, but the water ran cold before I was able to fill it. I didn't call management on the issue, or they may have taken care of it. Other than that, everything was wonderful. the heat worked in 1/2 the house on the main level and whenever i flushed the toilet bowl in the main floor bathroom waste water would seep out of the tile floor !! I had to use towels to soak up the waste water... this must be addressed.. other than that it was ok... someone must fix the sewer line in that bathroom!!! Nice setting for a relaxing vacation. Exactly what I was looking for. Not a resort, but a home away from home. Thank you William for an excellent review. Glad you enjoyed this wonderful home and we look forward to welcoming you again the next time you visit Central Florida! Regent's Retreat; Another amazing holiday. Once again we had a truly wonderful 2 weeks at Regent's Retreat. The house never fails or lets us down. The whole house was spotlessly clean on arrival and the pool deliciously warm. Just as our previous visits; the wildlife in the pond kept us entertained. The view from the pool is definitely a huge attraction and definitely an added bonus. The house has everything you could possibly need and the service we received from the management company excellent. We visited Longhorn's regularly; as the steaks are unbeatable. Overall a truly wonderful holiday and I would wholly recommended Regent's Retreat. We are already planning our next stay. Dear Rachael, thank you for an excellent review and we look forward to welcoming you again next year. Overall the experience was ok. The home was clean , we settled right in . The cons to this home are, the light switches are NOT labeled, so we had to go thru every switch to figure out what it went to what. We were told not to run A/C below 75 , but even at 75 it still froze up, leaving us to shut it off until it thawed. ( owners are aware of this , but haven't fixed it ). We paid extra to heat the pool and spa, but it didn't heat above 86 and it would shut off while we were in it, leaving us with cold water. For the money we paid to heat it , it should have NOT shut off and it SHOULD have been warmer. Last but not least, the water in the home is awful, with a swampy smell and taste, leaving you feeling less than clean after showering, and you definitely did not drink it. ALSO, the tile floors are extremely slippery when wet and are NOT child friendly. The owners have a beautiful home here, but have cut corners to save them a dime, I feel leaving guest less than satisfied , for the money spent to stay in this home. 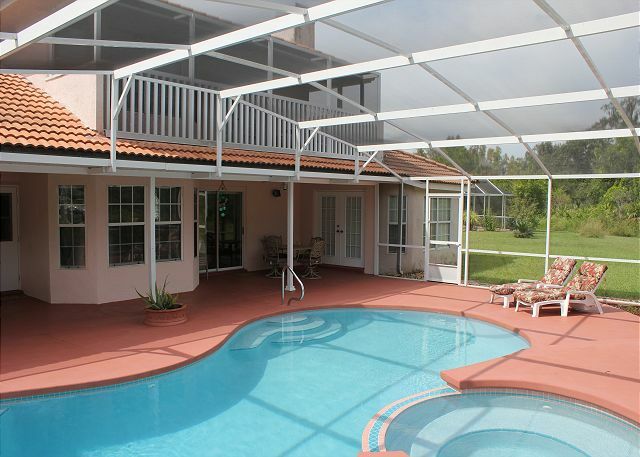 The best part of this home was the lanai and pool area. ( with the exception heater in pool/spa was less than satisfying ). The location of home is great. Very convienient to everything. The peacefulness of being out of the mainstream was nice and watching the wildlife was entertaining. Almost forgot, the porch upstairs was filthy. There was green mold, bugs squashed between the screen. Had to was feet when going back into home. Kris was our property manager and she was wonderful. Great personality , very attentive to our needs. I would recommend her to anybody, anyday ! Thank you Greg for your review. Glad you enjoyed this wonderful home and we look forward to welcoming you again the next time you visit Central Florida! My husband and I stayed at 'Regent's Retreat' for the month of February 2016. The house was exactaly as presented on the Home Away website. It was very clean and ready to move in. The very minor item we needed to call the management company on was corrected immediately. There was plenty of room for our family and friends as they visited during the month. 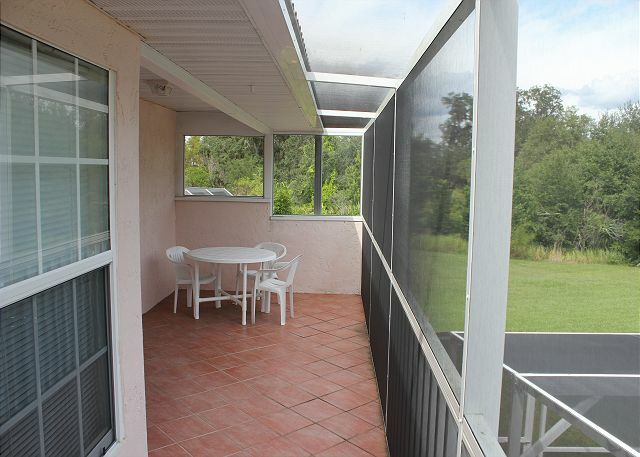 I would recommend this property to both friends and family as well as stay there again myself if I were to return to the Orlando area. Joanne, thank you for an excellent review. Glad you enjoyed this wonderful home with a private pool and we look forward to welcoming you again in the future. Enjoyed are 2 week stay. Rented again for a month next year! 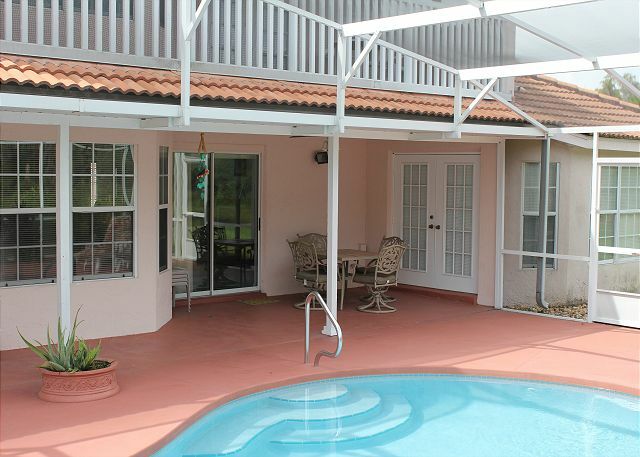 loved the large lanai and pool/spa. House was clean and spacious. Hi Linda, thank you for your excellent review. We are happy to read you enjoyed this wonderful vacation home with private pool. We are looking forward in welcoming you back for next year!! Wonderful home, would stay again in a second! Traveling by myself to get away from everything so it was a lot of house for one person, but the price was right and it had the private pool I was looking for. Absolutely perfect except water in kitchen didn't get hot. Ran water through the coffee maker so didn't pose a problem. 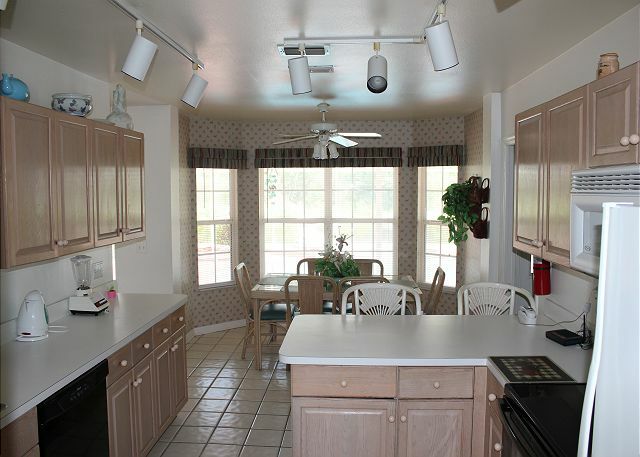 Property was very well maintained. Linda, thank you for an excellent review. 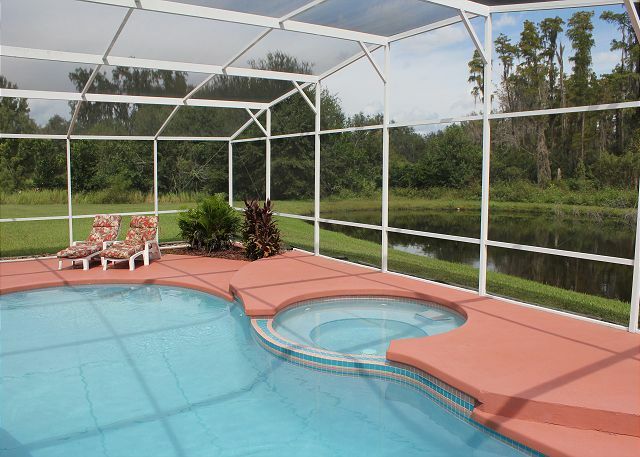 Glad you enjoyed this wonderful vacation home with private pool and we look forward to welcoming you again ! We were very happy with this house we rented. The location was good. It was clean spacious and had all the anemitees we needed. Would stay there again. Dear Kurt, thank you for an excellent review. Glad you enjoyed this wonderful home and we look forward to welcoming you again in the future! Beautiful home very spacious in a quiet neighborhood . Only thing is needs some updating with the furniture and decor. The bed in one of the guest rooms upstairs would tilt to one side.Should also come with a grill not have to rent one from the office,but with that said we will stay again. Neftali, Thank you for your feedback and review. We hope we may welcome you back next time you visit the area!